The food sector in India has successfully established its presence. This is a high-profit sector that has witnessed exponential growth in the recent years. The liberalized Foreign Investment rules are improving the business of the food processing sector of the country. 100% FDI is permitted under the automatic route in food processing industries. 100% FDI is allowed through the government approval route for trading, including through e-commerce in respect of food products manufactured or produced in India. India has immense scope for retail expansion and foreign funding can expand markets by reducing transaction and transformation costs of businesses through the adoption of an advanced supply chain. FDI brings with it new technologies, helping in the rapid growth of the sector. More food processing units will be introduced, effectively generating employment. 1. February 2018 - Amazon becomes first foreign ecommerce firm to enter food retail venture in India. Amazon has rolled out its own food retailing business in India with a pilot in Pune, becoming the first foreign ecommerce firm to stock and sell food items directly to consumers. 2. 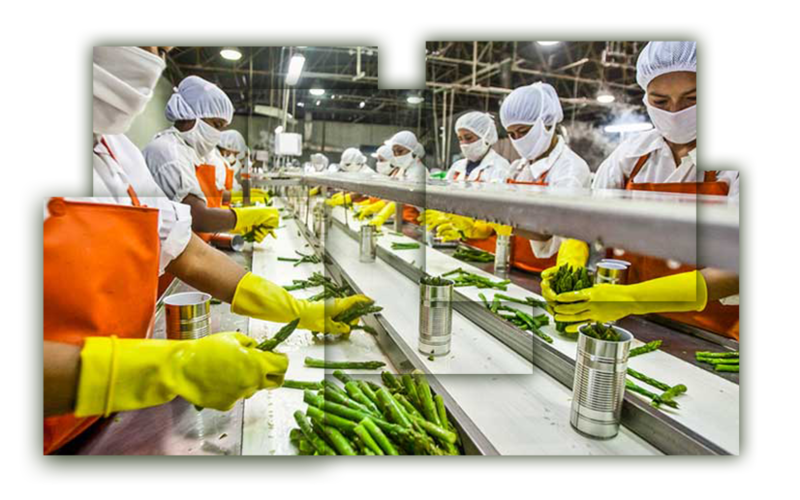 February 2018 - The Food Processing Park at Vinchur in Nashik district has attracted an investment of USD 150 mn, and it is expected to generate 5,400 jobs. A total of 15 food processing units have signed MoUs with the state government during ‘Magnetic Maharashtra’, global investors’ summit and exhibition. 3. January 2018 - UAE-based diversified conglomerate Lulu Group has inked a memorandum of understanding (MoU) with Telangana to invest USD 400 mn in the retail and food processing industry in Telangana. 4. November 2017 - ITC would invest over USD 1.55 bn in food processing and logistics facilities, PepsiCo, along with its partners, would invest USD 2 bn in the next 5 years. Hershey Co is likely to invest USD 50 mn in the next 5 years.